Minimaize in foreground with mature foxtail millet (Setaria italica) for scale. 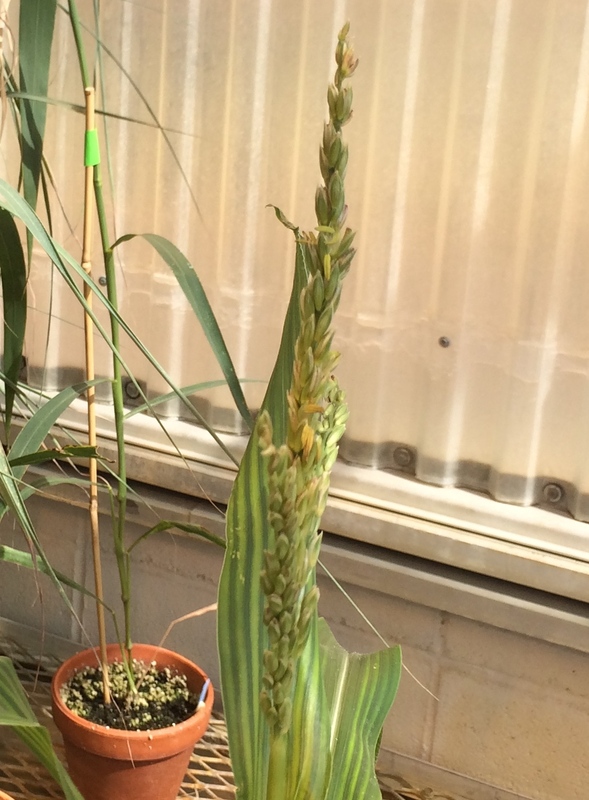 I didn’t have any more normal maize accessions growing in the greenhouse at the same time. Mini-maize tassel closeup. Click to zoom in. The poor little guy didn’t have the stalk strength to support a full-sized tassel bag. Hmm, we specifically selected against that, though it does happen occasionally. On the occasions when this happens to me I rip that ear out and pollinate the second ear. It should still nick with that second ear. 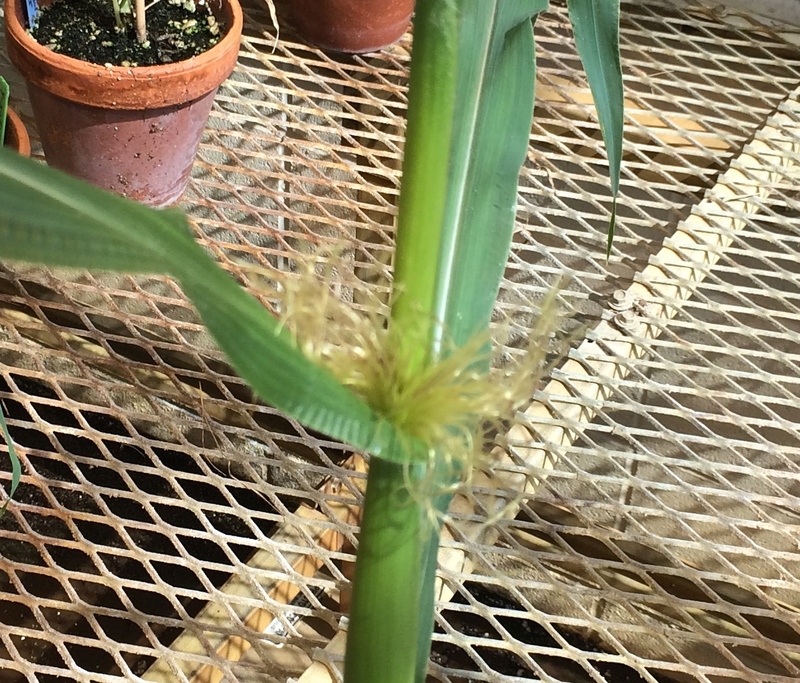 The tassel branches are also angled very upright compared to what I usually see in our greenhouse. 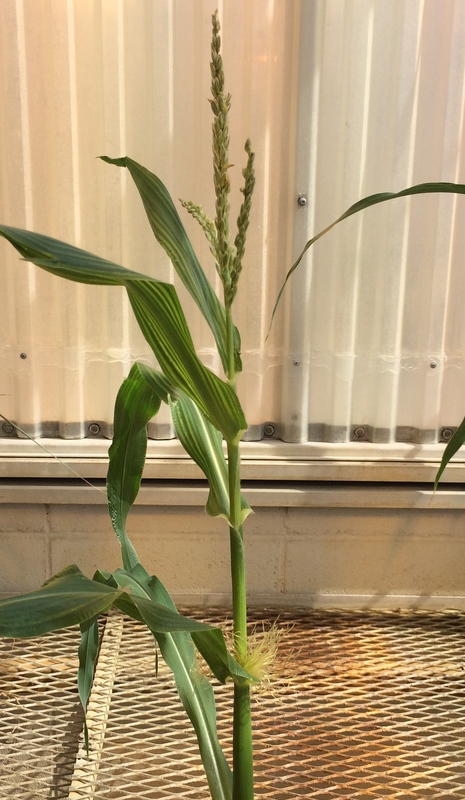 I have had reports of these “sneaky silks” from another lab, but they also had delayed flowering and I think we figured out that their troubles were caused by crowding with normal sized plants that shaded the minimaize. 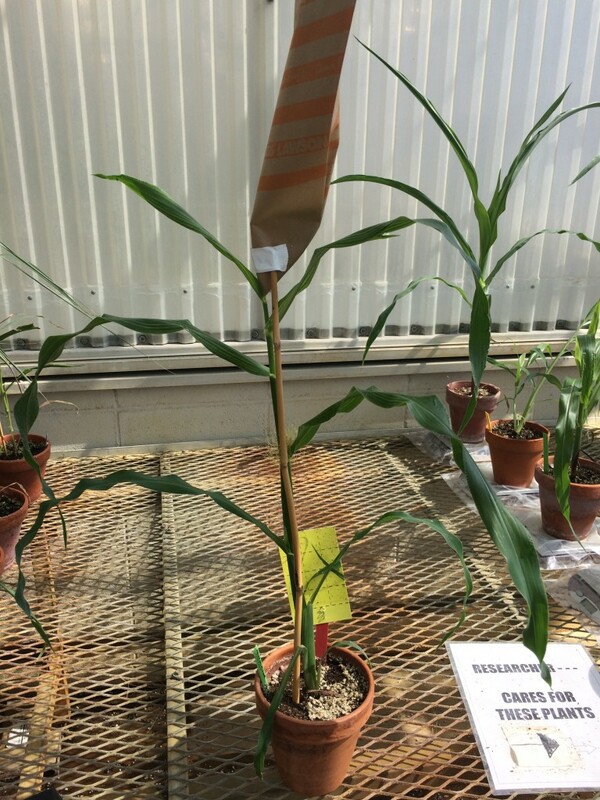 If you cut the tassel bag in half the plant can support it, I cut the shoot bags in half as well because the full size ones tend to tip over and fall off as the flag leaves emerge. 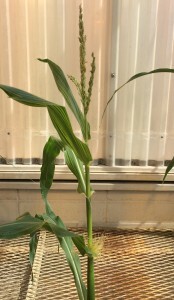 The apical ear will generally come out of the node of the 4th or 5th leaf from the top. I gently pull the leaf away from the stalk to peer down into the node to see where to expect the ear. When they are close to flowering you have to check them every day, sometimes you only get a days warning from the flag leaves that there’s an ear there. If you have any questions about the minimaize feel free to email me. I am planning on making a video about minimaize care at some point. We are already making a few youtube videos as condition of our NSF grant, so it shouldn’t be too hard to throw in an extra. Hi Morgan, thanks for the reply and please accept my apologies, I didn’t see it waiting in the queue for approval before the holiday weekend. 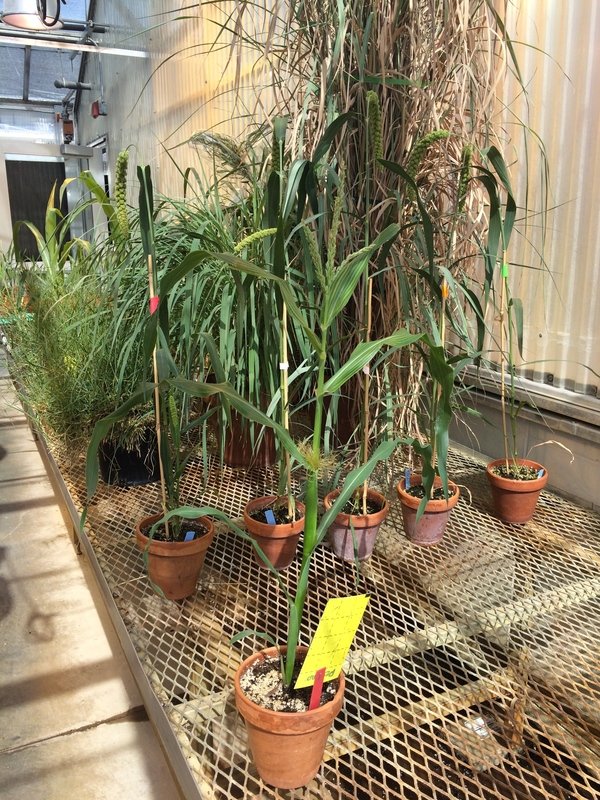 We tried to give the minimaize plenty of space, but they would have been shaded first thing in the morning and last thing in the evening by taller plants on either side of them, so if this is a phytochrome mediated shade avoidance response (ie triggered by red/far red light ratios rather than simple lack of sufficient light) these plants definitely would have felt shaded, we can take that into account in propagating our next generation. We’re definitely big fans so far and have some plans to use both minimaize in high throughput phenotyping, but even with the rapid generation time it’s going to take us a while to bulk up our seed stocks from the original stocks you gave me at the maize meeting, so we’d certainly benefit any tips on how to maximize yield in each generation.